GAW Miners have just introduced a new Hashlet cloud miner – the Hashlet Genesis. 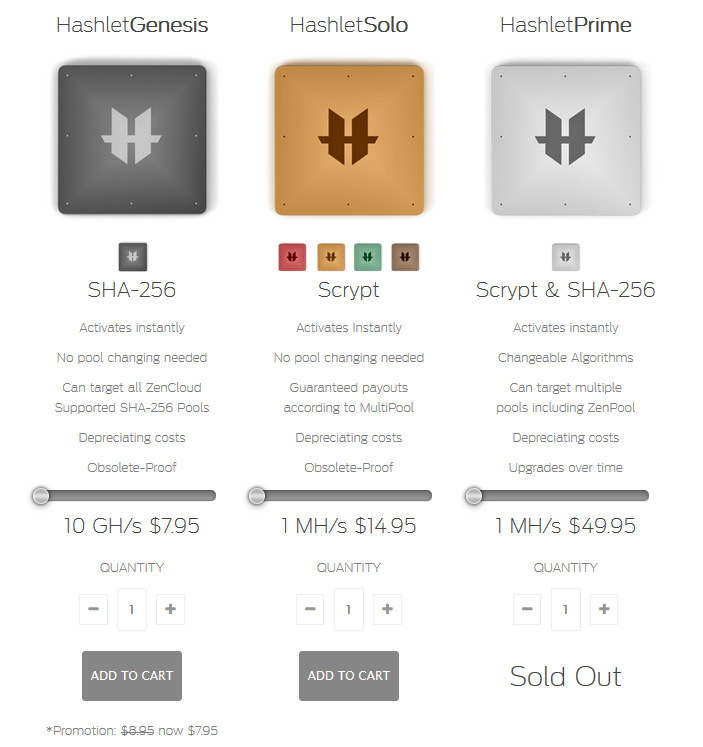 The new virtual cloud miner is for mining Bitcoins directly with SHA-256 instead of Scrypt. The Hashlet Genesis comes in a minimum of 10 GHS package that costs $9.99 USD and can be scaled all the way up to 3 THS for $2984.95 USD. The maintenance fee per 10 GHS Hashlet is $0.02 USD per day and currently 10 GHS can get you about 0.08819 USD per day with the Bitcoin network difficulty if you mine directly for BTC. Unfortunately this price is not as attractive as the initial price that the Hashlet for Scrypt had and it does not promise very fast ROI, with the current market conditions you will need to have less than 9% increase per adjustment period of the Bitcoin network difficulty to be able to just get a return of your investment in 1 year time. So making profit with Hashlet Genesis may not be as easy as it may seem and with the other Scrypt-based Hashlets that are already available.